WeChat, as the name implies, was first put out on the market as a messaging application, but has rapidly outgrown that label in recent years. In addition to messaging, WeChat boasts three other feature categories: payments, social, and official accounts (OA). All of these features integrate seamlessly into a single platform. And, with the help the APIs WeChat provides, these features can be intertwined to create complete user experiences within the app. If you are interested in creating a WeChat presence for your brand or company, the OA section of this article is most relevant. 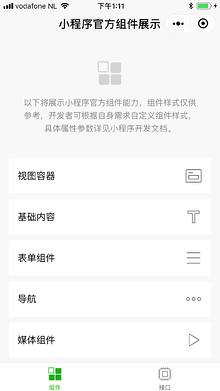 Disclaimer: Some of the functionality discussed here is only available in the Chinese edition of WeChat, so it won’t show up if you install the English version. For this reason, some screenshot examples in this article inevitably contain Chinese, but the subtitles included should help you place the content in context. Depending on your platform, you will get the Chinese version when you have your phone set to Chinese or connect to a Chinese app marketplace. 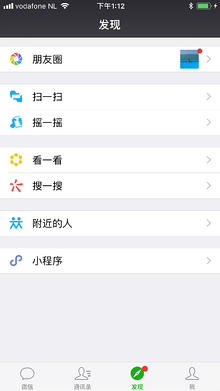 But to quickly start using WeChat, I recommend that you install the English version. 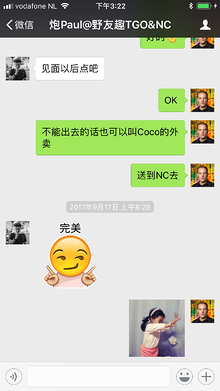 Chat - WeChat has everything you might expect from a messaging application when it comes to chat functionality. It shows you a list of the most recent (group) chats, an item for collecting all your subscriptions in one place (more on that later), and any companies that you follow that have registered a service account. Figure 1. An overview of the most recent chats, groups and subscriptions. Figure 2. A single chat with “stickers” (animated GIFs). Figure 3. A scannable QR code for adding a new contact. 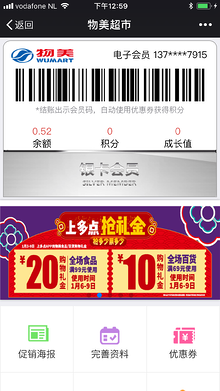 In Figure 1, the fourth item on the list comes from Wumart (物美超市), a chain of supermarkets that implemented its loyalty program on WeChat. The fifth item is from Watsons (屈臣氏), a Hong Kong-based health and beauty care store, that did the same. Users can pull up their membership cards through these entries, more on that later. Within a chat, you can send text, audio, video, pictures, emoji, animated GIFs (sometimes called “stickers”), location data, and other contacts (Figure 2). You can also send money to contacts or even to groups. Chinese people are much more likely to send audio messages than European texters, as these are more private and information dense. It’s also not not uncommon to see Chinese people hold their mobile phones up to their ears vertically to listen and then horizontally to their mouths to respond, like a walkie-talkie. To add new contacts, users usually scan QR codes (Figure 2). 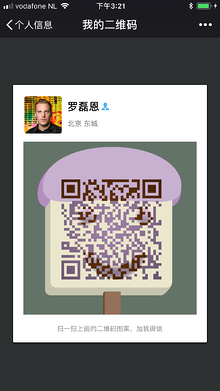 You can pull up your QR code through your profile menu (the fourth item in the bottom navigation of Figure 1). The other party can then use the + button (in the top-right corner of Figure 1) to scan your QR “bread slice” (Figure 3), or another image of your choice. It's also possible to search by name. Audio and video calls - Audio and video calls are comparable to the features offered by WhatsApp, Skype and FaceTime. You can call a contact through the chat or the contact list, which you can reach by tapping the second item in the bottom navigation of Figure 1. 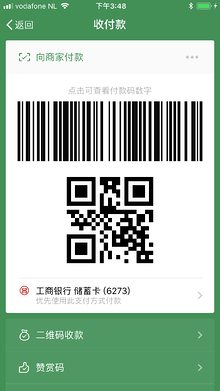 Store payments - You can reach your WeChat wallet (Figure 4) through the profile menu. The wallet prominently shows your balance, a button to pay in a physical store, and a list of linked credit/debit cards. 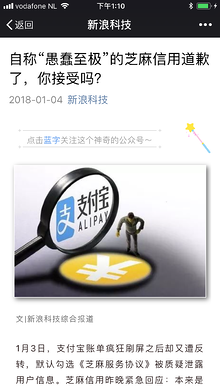 Underneath these, there’s a list of Tencent services and banking-related apps that let you do things like top up your cell phone account or pay your utility bills. You can also invest your money or buy insurances. At the very bottom, there’s a list of other services, like hotels, taxis, bicycles and food, mostly from third-party vendors that have partnered directly with Tencent. Adding an app here is and won’t be covered in this post. Figure 4. 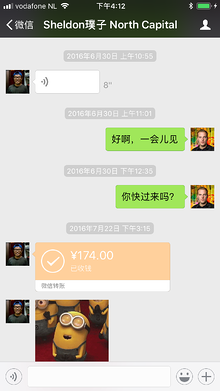 Wallet in WeChat. Figure 5. Linked to ICBC debit card, this code allows you to pay in a store. Figure 6. Money transfer in a chat. If you are at a physical store, you can pull up a barcode to pay using the first button on the top left (Figure 4). The cashier scans your code (Figure 5), and within one or two seconds, the payment succeeds (unless your account is overdrawn, of course). You leave the store without ever taking out your wallet, swiping a card, or filling in a code. This type of payment requires the store to obtain additional capabilities for WeChat Pay and WeChat-branded hardware to scan these codes. Transfer money - As Figure 6 shows, you can transfer money to other people individually or in a group within chats. The group transfer is mostly used during Chinese New Year when people send the infamous “red envelopes” (红包) around. You can set an amount, and it will be divided equally among the group’s members or based on a first-come-highest-amount rate. You can also create a QR code that others can scan to transfer money to you without adding you to their contact list. A lot of smaller vendors use this option because it doesn't require a special WeChat account, plus it's free. When you want to use WeChat to pay for something in a local shop, these vendors can provide a QR code, either printed or on their phones, for you to scan. Then, you just fill out the amount of money to transfer, authorize the payment and take off with your newly bought goodies. Figure 7. 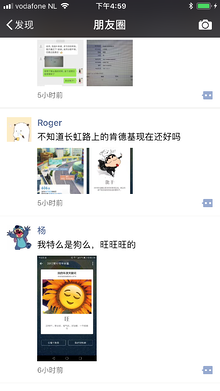 Several posts on WeChat’s Moments. When it comes to social media functionality, WeChat feels like a hybrid of Facebook and Instagram with a slimmed down feature set. Called “Moments” in English, this aspect of WeChat translates literally as “friend circle.” You can post text, pictures, and video here. You can also like posts and place comments just as you would with the familiar social media platforms I just mentioned (Figure 7). However, there is one striking difference: the messages and comments you post are only visible to people in your contact list. This potential drawback often creates confusion, since you can’t read the whole thread of comments. For example, a friend may appear to respond to himself when he’s having a conversation with someone not in your contact list. Generally speaking though, it also saves you from the useless spam sometimes seen on other platforms. Plus, the moments you share only reach the audience they were intended for, your friends. 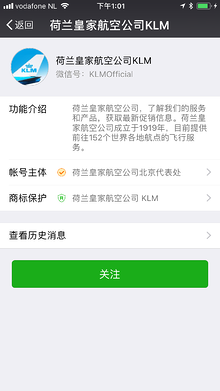 An official account (公众号) is a special type of account on the WeChat platform. Companies use these accounts to get in touch with their customers, both actively and passively. The workflow for these accounts is mostly the same: users can physically scan your QR code from your advertisement, search for your company within WeChat, or get redirected to your account from somewhere else. 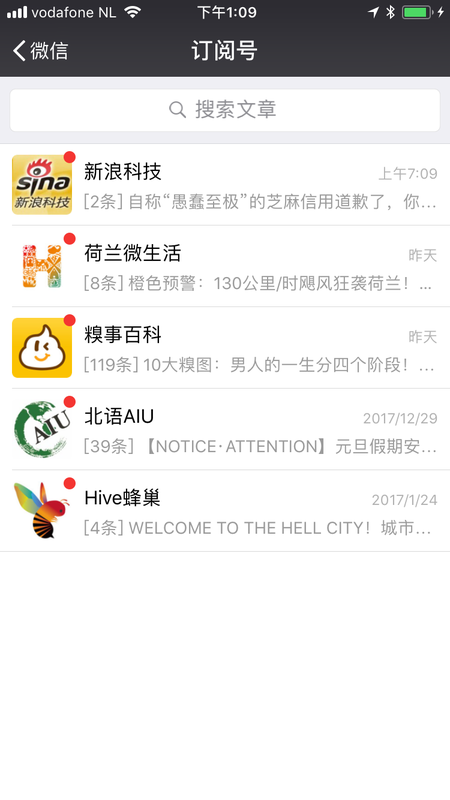 Your OA shows up in the user’s WeChat as soon as she clicks “follow.” Simultaneously, you receive all the user’s details (Figure 8). There are four types of official accounts, each with its own specifications. Choosing the right type is critical because it cannot be changed once it’s registered. We’ve already looked at two examples of official accounts in the messaging section of this article. Both Wumart and Watsons use their OAs to update followers on discounts, pull people into their mobile websites, and identify customers in their loyalty programs. Both examples are service accounts used mostly to offer customer support and build chat-like applications with custom menus on the WeChat platform. 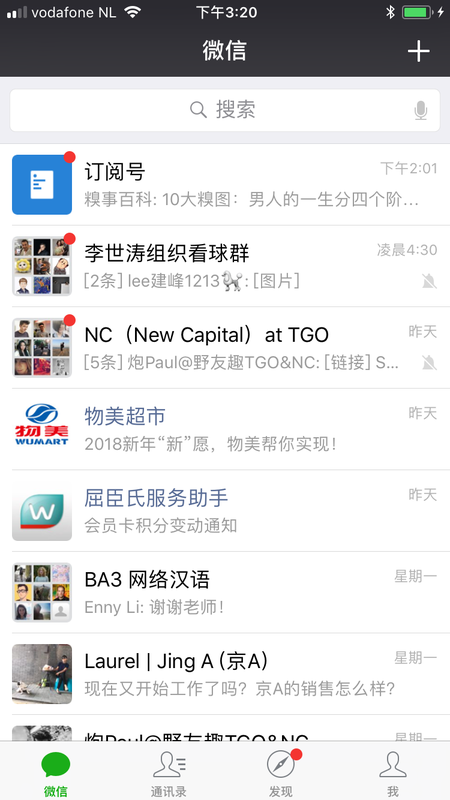 The menus often link to the companies’ web applications, which are loaded into a browser view within WeChat. Service accounts have access to advanced features like payments, geolocation and authorization APIs, but can only push messages to users four times a month. An example of these messages is shown in Figure 9, which contains the store’s latest discounts and offers. You can also use these messages to target specific customer groups, such as by age, location, or gender. Figure 8. The official account of KLM, the Dutch airline, with a green “Follow” button. Figure 9. The chat-like interface of the Watsons OA, with a menu and keyboard on the bottom. Figure 10. The Wumart member card accessed through their OA (as a separate web page). There is a JS SDK available that makes it easy to enhance the loaded web pages with native-like mobile features, like taking pictures or getting a user’s location. That only works if the page is loaded through the in-app browser view provided by WeChat. In the case of Wumart and Watsons, the WeChat APIs are used to authenticate so you can show your membership card to the cashier right from within their service accounts (Figure 10). 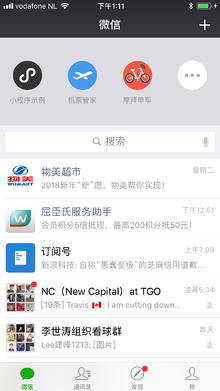 You can host these pages yourself and link your domain name to the official account, so WeChat knows the page is served from the right location. Behind the scenes, you have a server in place that receives the messages users send in the chat. You have a 48-hour window to (automatically) respond to the message, if you want to avoid spam. You can also query your own database and return results, or send images, video or coupon codes. You could even build a full-blown customer support dashboard on top of this, in which an actual operator can respond to incoming messages. Part III of this blog series describes how to build your own echo backend with a custom menu that will send all the messages a user sends back to them. Subscription accounts (订阅号) - Subscription accounts are available for individuals and companies. These accounts look a lot like service accounts, but they have a few downsides. For one, they don’t provide access to the more advanced APIs, like payments. Also, your chat appears in a dedicated folder for subscriptions, not at the top of the chat. Subscription accounts do have one advantage over service accounts, however; they can send push messages once per day, instead of four times a month. For individuals that blog a lot or companies that generate content as their main product (news agencies, for example), a subscription account works well for this reason. Otherwise, I don’t recommend them. Figure 11. List of subscriptions, after opening the 'Subscriptions' item on chat overview. Figure 12. The technology news items of Sina, pushed to your phone. Figure 13. An opened news item loaded through the in-app browser. Mini Programs (小程序) - In January 2017, Tencent released Mini Programs (MP, 小程序). 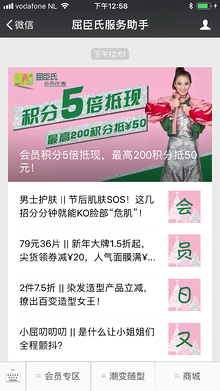 MPs operate like an app by using WeChat’s SDKs to build a native experience. But they don’t require the user to install an app. An MP can be shared with other contacts and accessed through a QR code. So, it’s a suitable option if you need a heavy user intergace, but don’t want to go the whole nine yards on (cross-platform) native app development. There is a library of UI components you can use in your app to build on so you can get started quickly. You can access an MP in two ways. When you pull up all your chats, a list of the most recently accessed MPs appears, along with a button to access the other MPs. 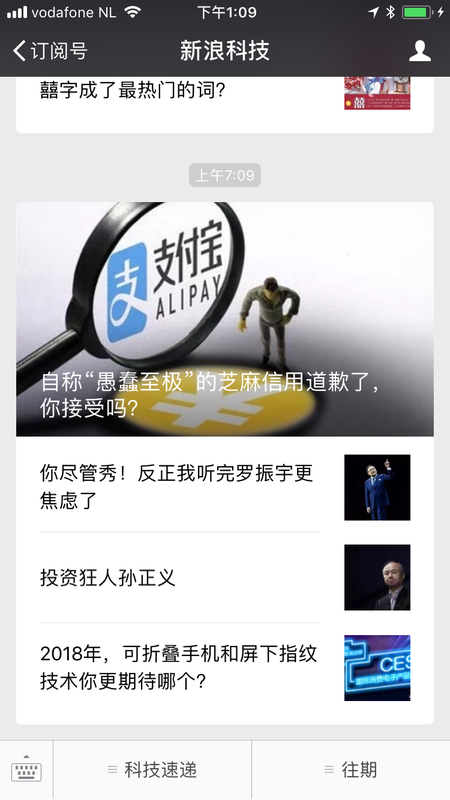 The Discover (发现) page, item three in the bottom navigation of Figure 15, also pulls up the other MPs. Figure 14. List of MPs at the top, after dragging chats down. Figure 15. The Discover page, with the MPs item as the last in the list. Figure 16. Demo MP, showcasing all UI components and APIs. Enterprise accounts (企业号) - Chinese organizations use this type of account internally to make communication and file sharing easier. Only authorized employees can access the data, so it is not suitable for consumer-facing applications. 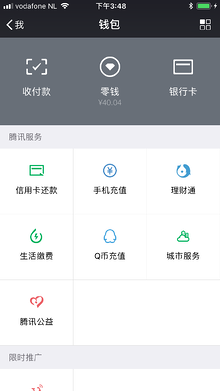 I won’t discuss this account type any further here, but you can read up on enterprise accounts on the WeChat website. Those are WeChat’s most essential features. I’ve left out a lot of others, like meeting people that are close to you, or winning prizes on television by shaking your phone, because those functionalities are not immediately relevant for companies. There are also some features that are most relevant if you have a physical store in China, like granting WeChat users access to your WiFi access point (and consequently have them follow your OA). This article gives you an overview of the most critical features and how you can use them to expand customer support and broaden the customer base of your products. In the third and final issue of this blog series, I will explain how developers can start building a service account on WeChat through a sandbox account. 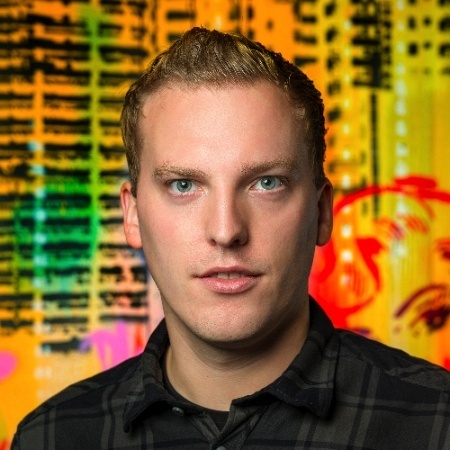 Léon Rodenburg is a full stack development consultant at Xebia. He has a background in Computer Science and Sinology and is always on the lookout for the crossroads between the two. He lived and studied in China for quite some time, where he put his knowledge of the Chinese language into practice by investigating on- and offline daily life in Beijing, especially regarding technologies like WeChat.